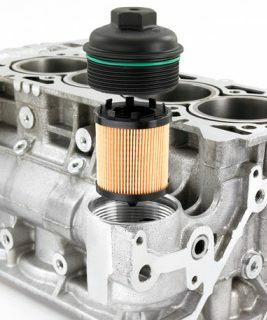 Just looking at the image above it is obvious that this cartridge-style oil filter has several advantages over the regular steel canister filters. So to state the obvious, the filter can be easily accessed and changed as it is near the top of the engine. This might not be that big of a deal to folks who don't change their own oil, but in some recession hit markets this sort of serviceability can only be a positive thing. Another factor is that the filter will be easier to dispose of, given that it is made of paper and plastic, when compared to the metal housing, rubber seal and other components of a regular cartridge filter. The 2011 Cruze will make use of this oil filter system in the Ecotec 1.4 litre turbo, as well as the 1.8 litre. The 1.8 litre petrol unit is the most likely to make it to the Thai market. Although the 1.4 turbo would be a preferable option.